Jetskiiers on the flooded Grand River this past April. People who need to be rescued after taking part in “reckless” behavior during emergencies would be fined under bills introduced in the state house this week. Emergency responders had to rescue several people who tried to kayak down fast-moving, swollen rivers during record flooding this spring in Michigan. Officials repeatedly warned people to stay out of the waters. 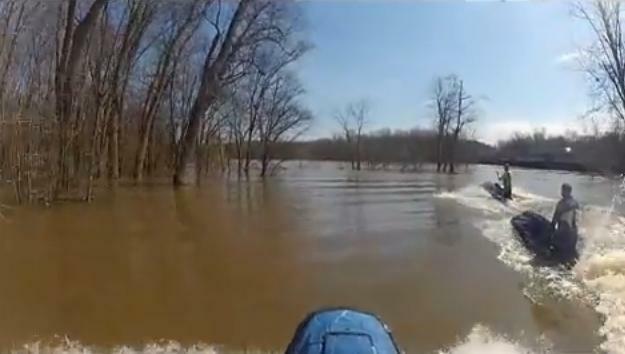 There’s this video online with four guys on jet skis during the record flood of the Grand River this spring. They jump over flooded playground equipment; duck real low to fit under bridges. It looked like a lot fun, but it’s probably not the brightest idea safety-wise. State Representative Brandon Dillon (D-Grand Rapids) says emergency responders had enough on their plate at that time. “We want to make sure that their lives aren’t put unnecessarily in jeopardy by going to have to rescue somebody who is doing thrill-seeking behavior or acting in an extremely reckless manner,” Dillon said. So act with “gross negligence” during a declared state of emergency and need a rescue, and you could pay for it. Under the bills, municipalities could recover the cost of rescuing thrill seekers so taxpayers wouldn’t have to pay for it. “Gross negligence is essentially defined as acting in a way where you have a reasonable expectation of doing harm to yourself or others. So it’s not the person who gets caught in a flash flood,” Dillon said. Dillon and State Representative Rob VerHeulen (R-Walker) co-sponsored the package. “We don’t want to discourage people from using emergency resources if they are in trouble but we also want people to make sure think twice before going out and doing something that they know has a high degree or a high potential of putting themselves in danger,” Dillon said. 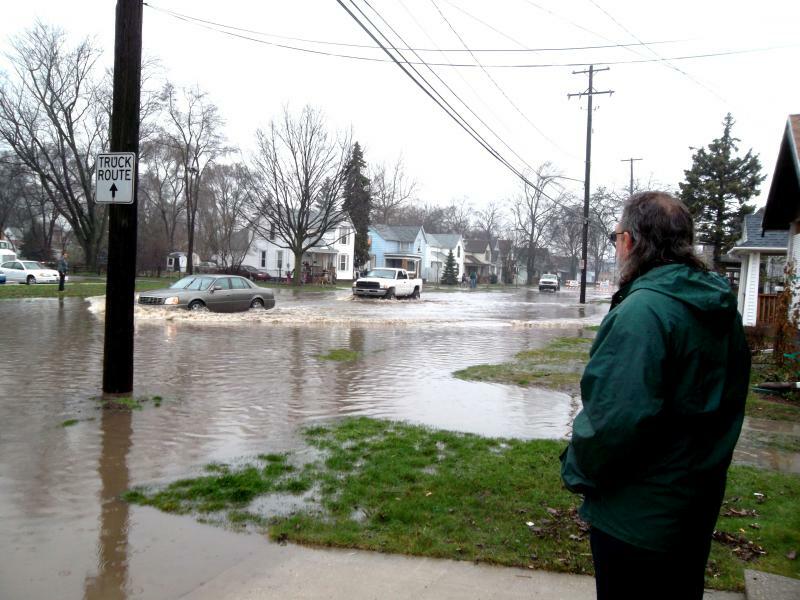 President Obama has approved a disaster declaration for 16 Michigan counties hard hit by spring floods. Heavy rains in April and May inundated communities across the state. The president’s disaster declaration will help communities repair and rebuild roads, bridges and other public infrastructure damaged in the flooding. The disaster declaration does not include assistance for individuals or businesses. Grand Rapids city officials are feeling a “sense of relief” now that the Grand River is receding. But Mayor George Heartwell hesitated to declare victory over the worst flood on record, just yet. “We will continue to be vigilant even though the worst is behind us,” Heartwell said. There’s rain in forecast for Tuesday, so conditions could change. But the National Weather Service predicts the river will go down as much as a foot per day until it gets back to normal levels on Thursday. That’s good news for riverfront hotels and businesses which are still pumping water out of their basements and parking garages. City Manager Greg Sundstrom says the city has spent between $300,000 and $500,000 so far in overtime pay and equipment. But Heartwell says it's paid off. “Because we were proactive we were able to weather this storm,” Heartwell said. After several days in a row of press conferences to update the media about the flooding, Heartwell hopes Monday’s conference will be the last for a while. Businesses and residents in communities along the Grand River, from Ionia to Grand Haven, are still drying out basements and assessing the damage. On Monday crews carefully moved large debris stuck to the side of the Fulton Street bridge. They guide it underneath the bridge and four high voltage transmission lines. Consumers Energy spokesman Roger Morgenstern watched a small crane pull a 20-foot-tall dead tree out of the water. The Grand River peaked at 19.02 feet yesterday at 8:45 a.m. It was just a hair over its previous record of 19.00 feet set back in 1948. Dwyer spoke with Matthew Silverman of Lowell who owns around 20 acres of land in the area – most of it was underwater. Silverman said water was flowing into his basement and he lost his boiler and water heater. “A couple of the houses down the street, they got inundated... A couple of the people didn't even have flood insurance, so they're going to be hurt pretty bad,” said Silverman. “Nobody was shocked. Everybody was prepared. Everybody was working really hard.... We had a constant flow of people just coming up, 'Do you need help with anything, what do you need? '” he said. Silverman said the town became a gathering place for onlookers trying to experience the high waters. “People were launching boats out of my flower bed the other day, with no regard for any private property. They were paddling right over the top of my fence - hitting my fence,” he said. Silverman said the steady stream of kayakers and the thousands of onlookers on foot and in cars has been a little stressful. “I mean, it's hard when you're working 24 hours a day, trying to keep your house above water, trying to help your neighbors out and you got people walking through your yard without permission, taking pictures of your house, walking into your backyard,” Silverman said. The Courtyard Marriott and Plaza Towers Condominiums in downtown Grand Rapids were evacuated this past Saturday morning. The hotel is expected to be shutdown until Wednesday, no word yet on when Plaza Towers residents can return. The weight of the water from the swollen river found a way to push upward and break the slab floor in the N corner of the hotel basement parking area. Above that area is the retail parking lot. Our structure is not believed to be damaged or impacted in any way. The water poured into the basement which led to an immediate shutdown of electricity and the evacuation. 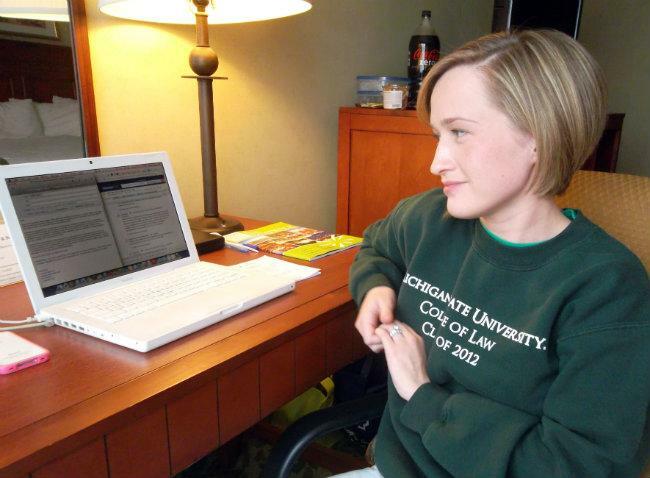 Michigan Radio's Lindsey Smith reports hotels and office buildings in downtown Grand Rapids along the Grand River are still pumping water out of their basements. She says the river is "expected to hit record levels downstream today in cities like Grandville, while upstream in Lowell and Ionia people are assessing the damage." Small creeks and streams around West and mid-Michigan hit their crests late last week. As they emptied out, they filled the mainstem rivers. The Grand River in Grand Rapids is swollen after record rainfall this month. It’s expected to crest at just under 25 feet on Sunday; just nine inches shy of the 100-year flood level. Amber Jones and Kelsey Caverly work downtown near the city’s fish ladder. They joined dozens of people who came down on their lunch break Thursday to check it out. Thousands of people affected by a record flood of the Grand River are still coming to terms with the losses. Today the river is expected to finally dip below the flood stage in Grand Rapids. On-air version of the story here. The flood got real a week ago today. On Thursday, April 18th, more than three inches of rain fell in one day, blowing away the 1939 record of a mere inch and a half. So much for the "no contact" order from the health department. 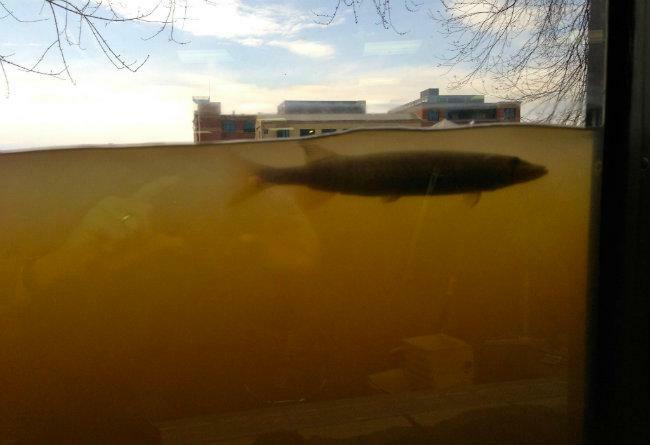 One commenter asks "That's pretty﻿ awesome, but isn't the water disgusting?" Looks like the fun outweighed the "disgusting" in this case.